There is no let up to the anti-GMO hysteria propagated by pseudo-scientific gurus and some in the mainstream media. The clever ploy of fearmongering causes people to get anxious and indignant, and in time if the facts ever do reach them, they are too invested in their position to change their minds. The ego never willingly wants to take a beating. When pressed for solid evidence, GMO alarmists have none, and retreat to unsubstantiated conspiracies and threats of a genetically modified doomsday that will wipe out humanity. “GMO’s are defined as any living organism that possesses ‘a novel combination of genetic material obtained through the use of modern biotechnology.’ The key phrase here is ‘modern biotechnology’, because the truth is that we have been genetically modifying our environment since the beginning of recorded history. Using breeding or artificial selection, humans began to domesticate plants and animals around 12,000 BC – all for the purpose of selecting for certain genetic traits and all a precursor to modern genetic modification. Nonetheless, for environmentalists, no single act of hubris has been more terrifying than when scientists decided to recombine DNA in the laboratory to modify nature. “Today, the largest use of generic bioengineering has been in food production. Genetic engineering has allowed crops to resist pests, tolerate extreme temperatures and environmental conditions, and be free of certain diseases. 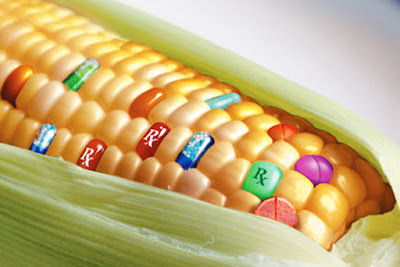 Genetically engineered crops have also been created to improve nutrient profiles, lengthen shelf life, and resist herbicides. In the United States, 94 percent of soy beans, 96 percent of cotton, and 93 percent of corn are genetically modified; in the developing world, 54 percent of crops are genetically modified. The consequences, especially for farmers in the developing world, have been dramatic. GMO technology has reduced chemical pesticide use by 37 percent, increased crop yields by 22 percent, and increased profits for farmers by 68 percent. Although GMO seeds are more expensive, the cost is easily offset by reduced use of pesticides and higher yields. “Although many people fear that genetically modified foods might be more dangerous than other foods, careful scientific studies show they have no reason for concern. The American Association for the Advancement of Science and the National Academy of Sciences have both issued statements supporting the use of GMOs. Even the European Union, which has never been particularly supportive of GMOs, cannot ignore the science. In 2010, the European Commission issued the following statement: ‘The main conclusion to be drawn from the efforts of more than 130 research projects, covering a period of more than 25 years of research involving more than 500 independent research groups, is that biotechnology and, in particular GMOs, are not per se more risky than conventional plant breeding technologies. “Although the science is clear, the public remains concerned. A recent Gallup poll found that 48 percent of the American public believed that genetically modified foods posed a serious risk to consumers. Many of those polled wanted foods to contain GMO warning labels so they could know which ones to avoid. This poll showed that not only are we willing to ignore science, but we’re also willing to ignore history. Due to selective breeding and cultivation, the crops we raise today ‘naturally’ have little resemblance to their ancestors. From a practical standpoint, the farmer taking advantage of a chance mutation to cultivate a specific crop is indistinguishable from a choice to create the mutation ourselves. Both have the same mutation. “Genetic modification has also been used to make lifesaving medicines. Insulin used by diabetics, clotting proteins used by hemophiliacs, and human growth hormone used by children with short stature have all been made using genetic engineering technology. Previously, those products were obtained from pig pancreases, blood donors, and the pituitaries of dead people.